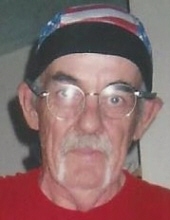 Ronald L. Anders, 78, of Peoria passed away Saturday, January 26, 2019 at UnityPoint Health Methodist in Peoria. He was born March 20, 1940 in Avon to Lauren and Marie Anders. He married Janice McCann; she preceded him in death. His parents; daughter, Lisa Wallace and one sister also preceded him in death. He is survived by his cherished companion, Ruth Pickel; children, Joseph Asmussen, Amy Anders, Keith (Julie Chenault) Fish, Glory Armbruster; step-daughter, Brenda Tinsley; seven grandchildren; eight great-grandchildren; siblings, Kenny, Lindie, Lee Ann, Patty and many nieces and nephews. Ronald worked at Caterpillar. He loved karaoke, fishing, junking but most of all his children and grandchildren. Cremation has been accorded and services will be held at a later date. To send flowers or a remembrance gift to the family of Ronald Anders, please visit our Tribute Store. "Email Address" would like to share the life celebration of Ronald Anders. Click on the "link" to go to share a favorite memory or leave a condolence message for the family.